By JAMES G. VARGIU, 1971, P.R.F. Issue No. 27, PSYCHOSYNTHESIS RESEARCH FOUNDATION, INC.
Man is becoming the tool of the system. We are being trained to conform to the growing requirements of proliferating social structures and institutions, even though those institutions are rapidly losing their capacity to serve our needs. Traditional education emphasizes competition, scholarship, and the performance of tasks; the quest for higher ideals and values, for the meaning of being human, is considered a superfluous luxury, only incidentally related to the formal educational process. To face and solve this unprecedented situation we need new values, new approaches, and a new ideal of what man can be. Education can satisfy these needs by transcending the limitations of the separative cultural heritage and values which originate in our tribal past. These values and this heritage can be preserved, but they must become the foundation of a broader vision . . . a vision inclusive enough to embrace the aspirations of all mankind. Education can generate this global vision through a direct and increasingly profound study of man and of the process of human unfolding, and through a widespread, practical utilization of what is being learned. Education will then increasingly deal with that central core of personal values, qualities, and aspirations that, because they are the most fundamental in each human being, are most likely to create broad areas of agreement between individuals similarly educated, regardless of their background or geographical home. In the dichotomy between being and doing, we bestow a predominance of interest on doing, on task performance. We value the individual for what he does or can learn to do, more than for what he is or can become. Operationally we neglect the more fundamental functions of the human being, such as feelings, imagination, intellect, intuition, and will, and make little effort to cultivate them directly. We allow them to develop accidentally and unpredictably, largely as the consequence of demands made on them in the process of developing mole specific and objective abilities. We may study mathematics, or a foreign language, because we consider them important tools to accomplish those task we expect to be part of our future activities. But the knowledge of a foreign language can generate a broader understanding of national differences, and open a new dimension in our concept of humanity and of ourselves. Through the study of mathematics many have discovered different modes of thought, new and unexplored regions of their mind, which they later mastered and utilized in everyday life. Whenever, in our task-oriented striving, we develop a new skill, or acquire a new talent, we also develop further some more fundamental and subjective function of our personality. We make another step in evolving a deeper and more inclusive consciousness of ourselves and of the world. This progressive expansion of awareness, this process of self-actualization, sometimes recognized theoretically as one of the goals of education, is habitually ignored in practice. Yet it is a far more important result of the educational process than the acquisition of any number of talents and abilities, because it changes the individual and his future values, goals, and activities, in the deepest and most permanent way. Today we need to bring about a gradual but determined shift of the central focus in education: from scholarship and task performance, to the self-actualization of man. The outcome of this shift will not be self-actualization for its own sake. True self-actualization leads to an increasing sense of responsibility and to a deepening desire to serve humanity. Paradoxically, task performance will then acquire greater significance and value, not only as a tool for economic well-being but as a major factor in self-actualization. We find here a subtle but fundamental difference . . . the difference between man’s continuous training for greater and more efficient productivity, and man’s progressive and joyful unfolding through increasingly harmonious activity and more creative achievements. It is education through a task, not for a task. Psychosynthesis has been developed in this spirit. It is an inclusive and positive conception of man that considers him dynamically, as a being in a process of personal growth within an evolving universe. It aims at facilitating this process and at making it increasingly vital and harmonious, by consciously cooperating with the laws and forces of nature. It fosters the total education of the individual—or when in the context of psychotherapy, his re-education—in the true etymological sense of “drawing out” and “leading forth”. 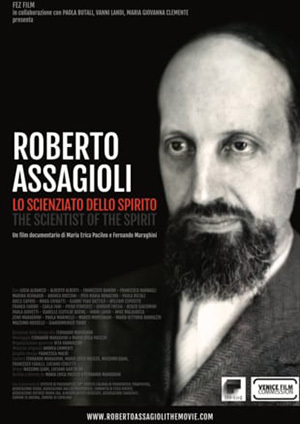 Roberto Assagioli, an Italian psychiatrist, developed the initial conception of psychosynthesis in his doctoral dissertation in 1910. Sixteen years later he established the first Psychosynthesis Institute in Rome. Here his activities expanded, until the Fascist Government became aware of the forbidden international orientation of his work. In 1938 they forced him to close the Institute, but after the end of the war he reopened it in Florence. Over the years, Dr. Assagioli has lectured in many European countries and in the U.S. and has written more than three hundred articles, now translated into nine languages. In 1965 he wrote Psychosynthesis: A Manual of Principles and techniques (4) and in 1966 For Harmony of Life: Psychosynthesis (5), in Italian, and has just completed a book on the will, to be published in 1972. He is President of the Istituto di Psicosintesi in Florence, and Chairman of the Psychosynthesis Research Foundation in New York. Currently his major activity is “didactic psychosynthesis”, the professional training of educators and psychotherapists. Today there are psychosynthesis foundations and institutes in New York, California, Canada, Argentina, Italy, Greece, and other European countries, and affiliations with a number of schools and universities. Psychosynthetic education aims at developing and harmonizing the fundamental functions and qualities of the human being: physical, sensory, emotional, imaginative, mental, creative, intuitive, ethical, social, volitional, and transpersonal. These basic human functions seldom receive direct attention. In most of us they evolve without guidance, and often quite unevenly, as they are randomly stimulated by more specific and superficial demands. This condition of imbalance then keeps growing, due to our common tendency to value, cultivate, and identify with those functions in which we are stronger, and to devalue and ignore those in which we are weaker. An extreme case of this lack of balance is found in the highly emotional, sensitive person who is habitually immersed in a sea of feelings and obeys them in his everyday life without questioning or discrimination. He identifies with his emotions, which to him are central, immediate, and real. He generally disregards his mind, which he experiences as “unnatural”, “artificial”, and remote. If questioned about his deepest identity, he might say that he is what he feels, and he has thoughts. At the opposite pole stands the cold intellectual, the man who prides himself on living strictly by the rules of logic. He represses his feelings and holds them in contempt, viewing them as a source of weakness, or as a cause of irrationality. He gradually cuts himself off from other people, from nature, and from the more subtle and imponderable elements of life. He lives in his intellect and identifies with it. He would say that he is his mind, and he has feelings. During the development of both of these types of individual, one of their functions became overdeveloped, inhibiting the growth of the other functions, and making the person distinctly one-sided. Such extreme examples are rare, but a similar situation, although to a much lesser degree, exists in most of us. Psychosynthesis stresses that we can prevent this condition, or at least reduce it considerably, with appropriate education beginning at an early age. When this is not done, we can still correct and overcome such an imbalance later in life. We must then resolve the conflicts between our various personality functions, and exercise or cultivate the least developed ones. This is the beginning of a process of coordination and harmonization that will lead us to achieve true personality integration and synthesis. Those who have developed an integrated personality—and they are still a minority—are active, spontaneous, at ease in most situations, stable, intelligent, warm and understanding’ They value both their feelings and their mind, and are quite comfortable with either (6). They are learning, or have learned, to be aware of their mind and of their feelings simultaneously, and to use them in coordination, just as we use our right and left hands together. They will say, “I have feelings, I have thoughts, I have senses, intuition, imagination, etc., but I am not any of those functions”. They will say “I am myself”. The concept of the “self”, the “I”, the permanent center of being and awareness within man, is fundamental in psychosynthesis. It is around the self and through the influence of its energy that we integrate and harmonize the personality functions and achieve their synthesis. G. C. Taylor, Professor of Psychiatry at McGill University, Montreal, says: “The self in psychosynthesis is regarded as a reality . .. which it is possible to experience directly. In most cases the unifying center will be first on the personal level—the personal self. After there has been a reasonable degree of integration on this level, there may be a gradual expansion of the personal consciousness towards the transpersonal or universal level. 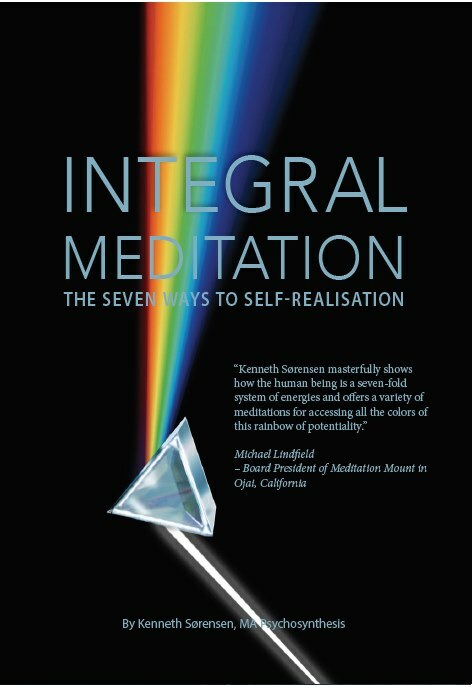 To attempt to shortcut the process of consciousness-expansion, without first having attained integration on the personal level, is dangerous, and this explains some of the LSD casualties.” Taylor goes on to say that psychosynthesis “provides a method of growth which proceeds in a sound, step-by-step manner, enabling [one] to integrate his ‘peak’ experiences. As the personal self becomes increasingly able to identify with the transpersonal Self, there tends to be an integration on a more inclusive or cosmic level … Not all are ready for this stage and most will achieve it only in part. There is no rigid separation between the stages, however, and it is often possible to contact superconscious energies early in the process of personal psychosynthesis (7). At the time of adolescence most individuals are willing and ready to take into their own hands the process of their personal growth and self-actualization. Adolescence is a time of stress and turmoil, and of great importance in the formation of the adult personality. In a relatively short period the adolescent must confront several major crises: dealing with his emerging sexuality; choosing his vocation and the adult role he will take in society; accepting his self-image, on a basis that appears permanent to him; attempting to end his dependency relation with his parents, while still retaining his love relation with them; choosing a moral-ethical-religious framework and ensuing sets of values and beliefs on which to base his future actions. Underlying these difficulties is the fundamental conflict between his feelings and his mind, which are often waging a real war of supremacy against each other. It is at this time that we can most effectively introduce psychology and the study and practice of self-actualization as subject matter. We must be careful not to present psychology as a specialized clinical-pathological approach, as is often the case today. The pathology of the psyche is the domain of psychiatrists and psychologists, just as the pathology of the body is dealt with by doctors and surgeons. But just as we are taught from early age the basic principles of a healthy diet, of physical hygiene, of first aid and emergency measures, and most importantly of how to recognize physical conditions requiring professional help—so we need, in school and in the home, to learn how best to deal with the bruises and wounds of our psyche, which often go unrecognized and chronically bleed us of our vitality. The main emphasis has to be on the rapidly expanding ‘positive psychology’: the psychology of health, of optimum growth, of self-actualization. And we can encourage the student to make what he learns alive by relating it to himself, as he is, existentially. High school is the ideal time to begin such a program. Because of the crises the teenager is going through and of his desperate need for help and self-understanding, the study of his own nature, and of methods and approaches for improving himself becomes a real, practical, and immediately useful subject, in which he is likely to become highly motivated. It satisfies his interest in himself, which is most intense at this time, and allows him to move on to a more inclusive point of view. Psychosynthesis offers for this purpose a comprehensive and integrative approach which includes such diverse methods as constructive introspection, identification with one’s deeper center, and active techniques and exercises of creative imagination, mental concentration, development of the intuition, training of the will, evocation and recognition of positive qualities and so forth (9). 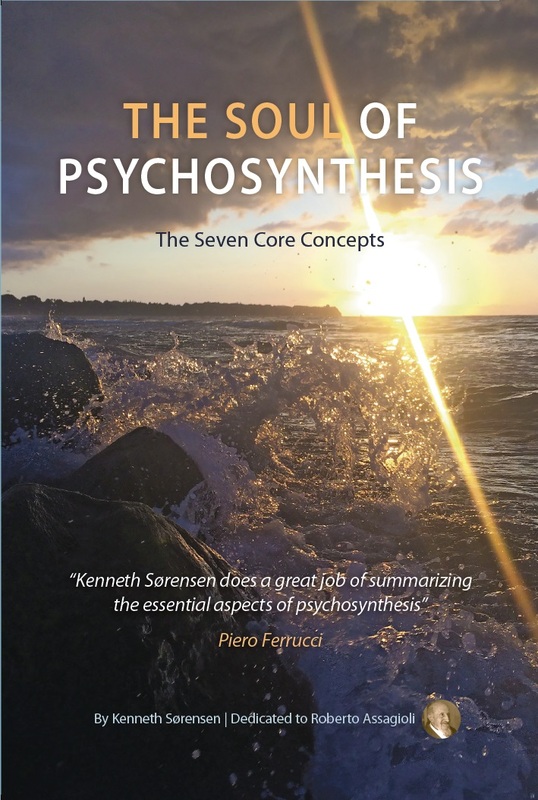 Psychosynthesis offers basic principles and numerous techniques which the guide can apply as he works with others. It makes available, as well, tools that each can learn to use for his own inner growth. Thus one has the opportunity to become increasingly active in directing his self-actualization, and ultimately to take full responsibility for this process. Let us now examine in more detail how psychosynthesis applies practically to the main personality functions. We cannot here deal with the many specific techniques, but will rather focus on approaches, aims, and goals. We must develop and refine coordination, physical expression, the senses and sensory perception, and preserve the innate link with nature. Sports can be used in moderation, provided that the aim is to exercise all parts of the body evenly and that rhythmic activity largely replaces strenuous competition. Rhythmic movement and the best modern integrative techniques of body expression can be of value. They are particularly appropriate for those who are out of touch with their body, and well-suited to maintain balance in the more mental and imaginative types of individual. The training and use of the imagination has a prominent place in psychosynthesis. Psychology has shown that many of our limitations stem from the poor self-image which we have built, consciously or unconsciously, as a reaction to the negative factors in our environment since early childhood. This image-building function — our creative imagination can become a powerful tool for our own growth. We are discovering the great value of “ideal models”,(13) the positive, dynamic, consciously constructed images of what we want to become. If uncontrolled, or used in a superficial or thoughtless fashion, imagination can produce detrimental effects. But once we master it and learn to use it wisely, it becomes a most effective and versatile means of self-actualization and well-being. Much material, and many graded exercises dealing with this subject are available. (10, 12, 15, 16) This aspect of psychosynthetic education can be most readily introduced in today’s classrooms, or used in counseling situations and in the home. 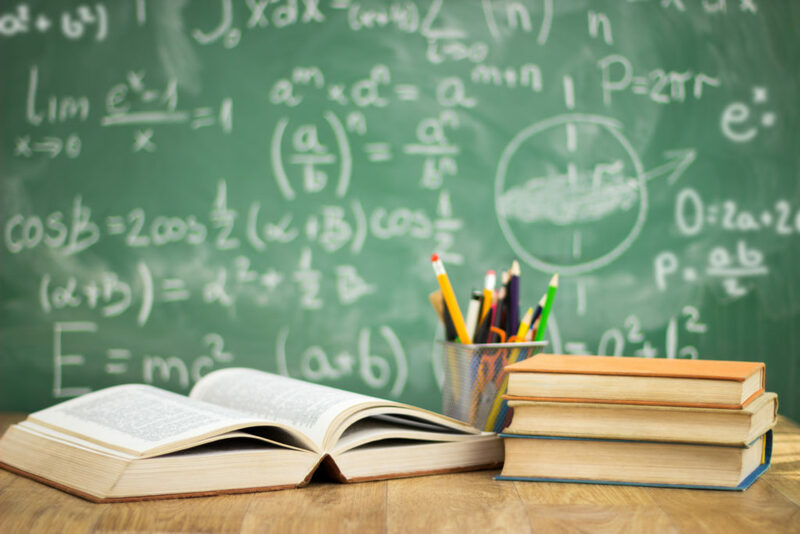 Contemporary education places much emphasis on the intellect, but this emphasis is usually restricted to the more mechanical, stereotyped, and mnemonic modes of thinking. Only a few learn to use their mind as a true instrument of discovery and self-expression. We can remedy this situation in various ways. In the school, rote learning and memory work can be reduced, and replaced with training in the use of source material and research tools. Rather than spending time in answering the child’s questions, both parents and teachers can use the inductive method, and meet the demands of the awakening intelligence of the child by asking: ‘Why? Why ask this? Why is it this way?”—throwing the responsibility of answering upon the child, while dropping the solution subtly into his mind by the direction of the questioning. We can cultivate original, constructive, and creative thinking both in ourselves and in those we are guiding. It is important to develop facility in abstract thinking processes, and to become aware of their relationship to more concrete thought. With this facility we can penetrate beyond the confusion surrounding us, and discover the relations, the causes, and the purpose underlying apparently unrelated events. Self-realization is a central aim and purpose of psychosynthesis. It is the discovery and the direct experience of the self — initially the personal self, then the transpersonal Self. We must not consider this a specific goal to be reached at some definite time in the future. It is rather a continuing process of increasing self-awareness, that leads gradually from the personal to the transpersonal to the universal. This process occurs spontaneously as we proceed to integrate and harmonize the personality functions, but it can be considerably facilitated by means of appropriate techniques and exercises. (24, 25). Through self-realization we liberate the synthesizing energies that organize and integrate the personality functions around the self. Thus the self becomes more and more a source of inner guidance, of strength, of purpose, of joy, of wisdom, and of love. As we increasingly identify with the self, we find that we become able to function in the world more serenely and effectively, with dignity and respect for others, in a spirit of cooperation and goodwill. This is the aim of interpersonal and social psychosynthesis. Fundamentally, we must learn to balance and then to reconcile our personal needs and aspirations with the needs and aspirations of others. We can do this through the application of two basic and complementary principles. The first is that the state of the relations between the many functions within ourselves is directly reflected in our relations with others. U. N. Secretary General U. Thant stressed that “We can not end the war between nations unless we end the war in the hearts of men.” This points to the central importance of inner harmony and integration as a major prerequisite for right relations between individuals, between groups, and between nations. It culminates in deep self-knowledge, which leads to the realization of the incalculable value of the individual, for what he is and can be. The second principle is that the same laws and forces of nature that foster harmonious relations and integration between the functions of an individual can foster similar conditions between the members of a group. Thus, besides the psychosynthesis of the individual, we have the psychosynthesis of the couple, of the family, social psychosynthesis, and the psychosynthesis of humanity. Education for right relations must help us to be increasingly aware that groups, nations, and finally humanity itself, can each be seen as an individual organic entity. We can then understand more fully the motivating values, the purpose, the activity, and the evolution of these supra-individual entities. These factors condition the relations between the human cells or smaller groups within those entities, and the relation between each human cell and the larger entity itself. We can make the first steps toward this wider understanding through service organizations of international scope, travel abroad, exchange programs, and international educational environments. This will foster in each human being a deepening and expanding sense of belonging to the many interlaced groups that make up the fabric of human society. Thus each individual will be motivated to contribute to the furthest limits of his abilities to the life, growth, and well-being of all men. The future of our world, and of education as a means to implement that future, will of necessity be based on the acceptance of two basic concepts, in all their far-reaching implications: the true value of the individual, and the existence of the one humanity. Teilhard de Chardin, Building the Earth, Dimension Books, Wilkes-Bane, Pa., 1965, p. 68. W. W. Harman, “The New Copernican Revolution”, Stanford Today, Winter 1969, p. 6. Reprints available from the Psychosynthesis Institute, 150 Doherty Way, Redwood City, California. G. Cirinei, “Three Lectures on Psychosynthesis”, delivered at the 1964 Psychosynthesis Conference, London. R. Assagioli, Per L’Arrnonia della Vita, la Psicosintesi, Istituto di Psicosintesi, Firenze, Italy, 1966. G. C. Taylor, “The Essentials of Psychosynthesis”, delivered to the Allan Memorial Institute, Montreal, Canada, 1967. Reprints available from Psychosynthesis Research Foundation, 40 E. 49th Street, New York. S. Vargiu, “Psychosynthesis Case Studies: Three Gifted Adolescents”, Psychosynthesis Institute, Redwood City, California, 1971. R. Assagioli, supra note 4, part two. M. Crampton, “The Use of Mental Imagery in Psychosynthesis”, Journal of Humanistic Psychology, Fall 1969, pp. 139-153. 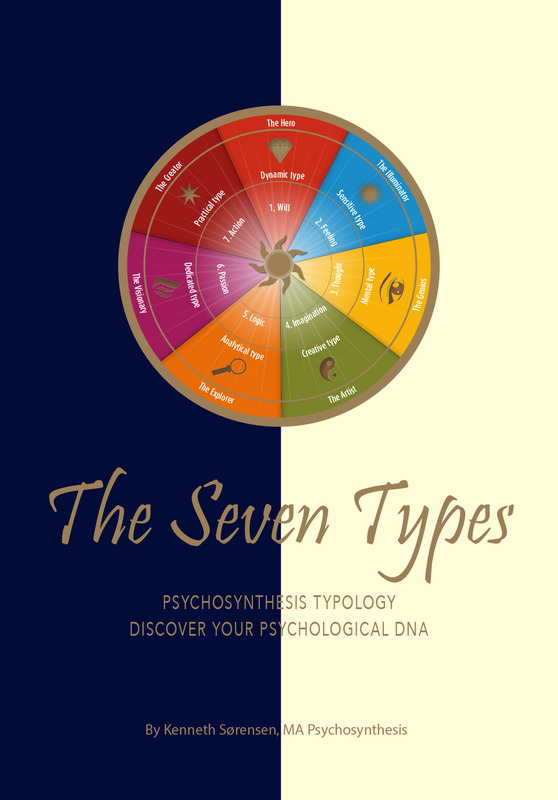 Reprints available from Psychosynthesis Research Foundation, New York. R. Assagioli, supra note 4, Chapter VIII. H. Otto, Group Methods to Actualize Human Potential, Holistic Press, Beverly Hills, California, 1970. R. Assagioli, supra note 4, pp. 166, f.
R. Desoille, “The Directed Daydream”, delivered at the Sorbonne University, Paris, 1965. Reprints available from the Psychosynthesis Research Foundation, New York. H. Leuner, “Guided Affective Imagery”, American Journal of Psychotherapy, Jan. 1969, pp. 4-22. E. Wood, Concentration: An Approach to Meditation, Quest Book, Wheaton, Ill., 1967. M. Eastcott, The Silent Path, Samuel Weiser, New York, 1969. R. Assagioli, supra note 4, pp. 125-143. R. Assagioli, “The Training of the Will”, Psychosynthesis Research Foundation, New York, 1966. R., Assagioli, The Act of Willing, Viking Press, to be published 1972. P. A. Sorokin, The Ways and Power of Love, Beacon Press, Boston, 1954. R. Assagioli, supra note 4, Chapter V.
Ibid, pp. 111-125 and Chapter V.
R. Assagioli, “Symbols of Transpersonal Experience”, Journal of Transpersonal Psychology, Spring 1969, pp. 33-45. Reprints available from the Psychosynthesis Research Foundation, New York. R. Assagioli, supra note 4, p. 9.